For chicks, growers and layers. To breed the best, we feed the best. 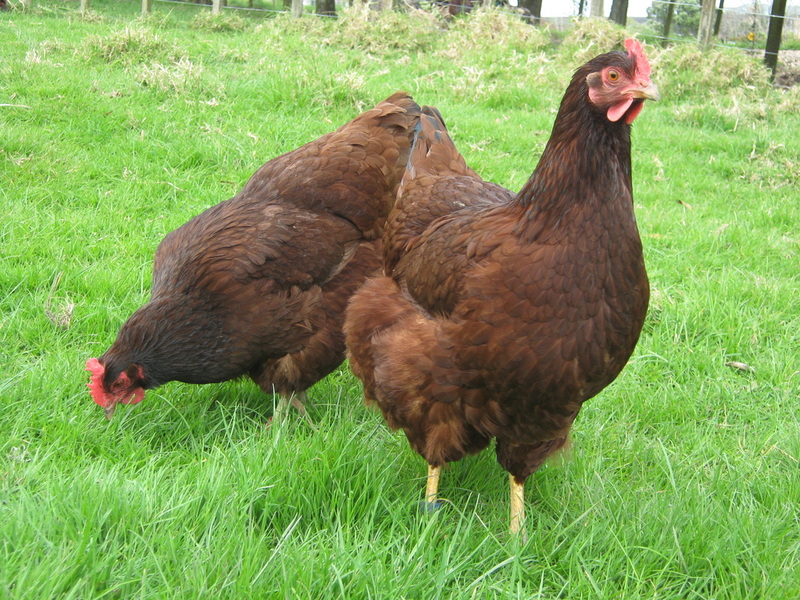 For optimum health and performance, chickens need a high quality diet with plenty of meat based protein. Aside from your own personal dietary choices, chickens are omnivores, not vegetarians and a diet based entirely on vegetable protein will cause deficiencies affecting growth and muscle development, egg production, feather growth, fertility and the overall health of your birds. You cannot expect your birds to thrive if fed merely on kitchen scraps and left to forage. 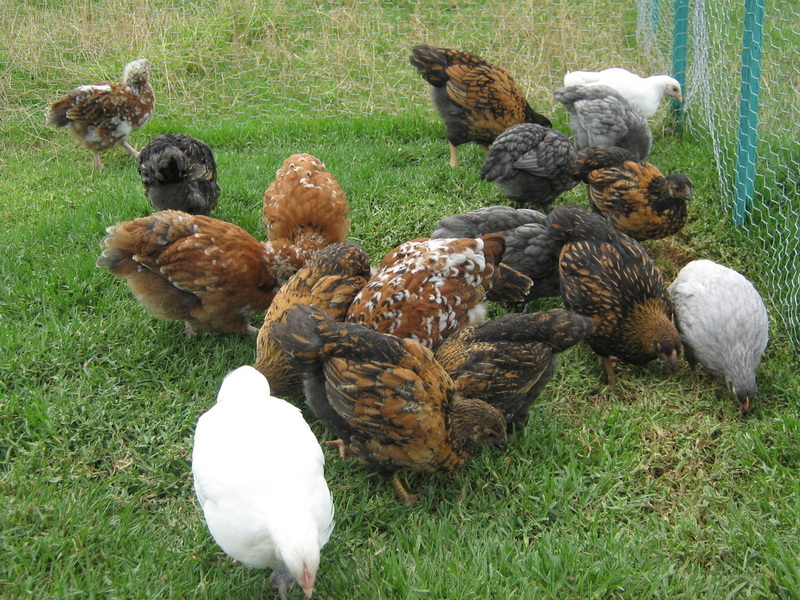 Most poultry feeds contain mainly soy and vegetable proteins to keep costs down. Although the bag reads "Contains or may contain ruminent protein," this does not necessarily mean the feed contains animal protein. At certain times of the year, depending on availability and cost, the animal protein content in many feeds may be completely substituted with vegetable based protein. Weston Milling feeds contain meat, blood and bone meal, so are very high in essential animal protein. Heavy breeds in particular, require a high protein diet to maintain muscle and strength in the legs. In our opinion this is seriously good feed and is the best we have ever used. We no longer need to give out supplementary grains, thus saving us money, the chooks love it and we can be confident all their nutritional needs are being met. Since switching to Weston's Peak Layer, within one week we observed a 50% increase in laying and by two weeks laying was double what it was prior to introducing this feed. Our birds' feathers became more glossy and sleek and the yolks were bright orange. Everyone who has bought our feed has come back for more with very enthusiastic feedback on their astonishing results. Ingredients: wheat, barley, triticale, wheat by-products, soya meal, peas, lupins, meat and bone meal, blood meal, lime, tallow, dicalcium phosphate, salt, yolk colouring, vitamins and minerals. Do not feed to horses, dogs, sheep, cattle or other ruminant animals. We recommend you pick up a bag or two when collecting your birds, to keep them on the same feed they have been accustomed to. Our feeds are supplied in 25kg bags, but we are happy to weigh out 10kg part-bags. Because of the costs and packaging involved, we do not ship sacks of feed. PICK UP ONLY. Rest of the New Zealand Find your nearest stockist. Chicks Choice is a high protein complete starter feed containing essential minerals and vitamins to provide the nutritional requirements of baby chicks, ensuring strong growth, energy and feather development. 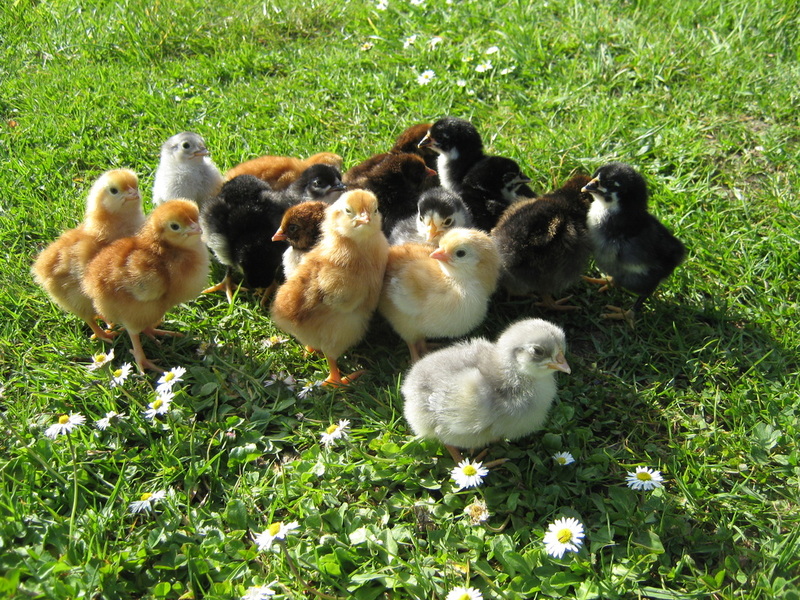 Chicks Choice is medicated with a coccidiostat to help prevent outbreaks of Coccidiosis. Feed ad lib as the sole diet to chicks up to the age of six weeks then change to Chook Grow until point of lay. Protein 19%, Fat 5%, Fibre 6%, Salt 2%. Chook Grow is a complete food formulated as a follow on feed from Weston's Chicks Choice and is a complete grower pellet containing essential nutrients, protein and minerals in preparation for a healthy, productive laying life. Feed ad lib from the age of six weeks until point of lay, (about four to five months) then change to Peak Layer. Peak Layer is complete nutritional pellet to maximise the production of eggs and contains the right balance of protein, minerals, vitamins and energy for overall health of your birds and strong egg shells. Peak Layer contains the highest levels of meat based protein than any other feed we have used.